West Ham attacking midfielder Manuel Lanzini has emerged as a surprise target for Everton ahead of the summer transfer window. According to the football transfer rumours in British Media, Everton are linked with a move for West Ham attacking midfielder Manuel Lanzini. The Argentina international has joined West Ham from Al Jazira for a fee in the region of 12 million euros in July 2016. The 24-year-old has a valid contract with West Ham until June 2020. After his arrival from Al Jazira, Manuel Lanzini has scored 15 goals and provided seven assists in 72 games for West Ham, including eight goals and provided two assists in 38 games in all competitions this season. The 24-year-old is considered to be one of the best playmakers in Argentina. Manuel Lanzini has represented Argentina at Under-20 level, winning five caps and scoring two goals. The Argentina international is thought to perfectly fit the profile of attacking player Ronald Koeman wants to target in the summer transfer window. Ronald Koeman will reportedly be handed a huge transfer kitty this summer and the West Ham attacking midfielder is thought to be among the manager’s priorities. 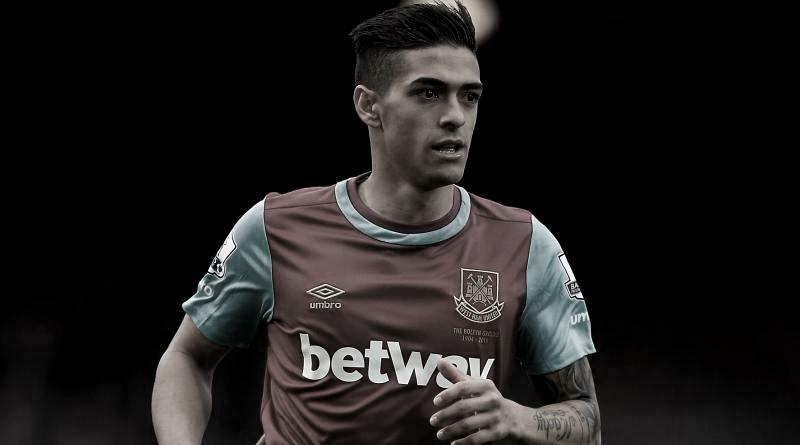 Euro Football Rumours understood that West Ham valuate their attacking midfielder Manuel Lanzini in the region of 35 million euros.